PENETRON crystalline technology is a key part of the extensive Marlay-Taylor Wastewater Treatment Plant upgrade. 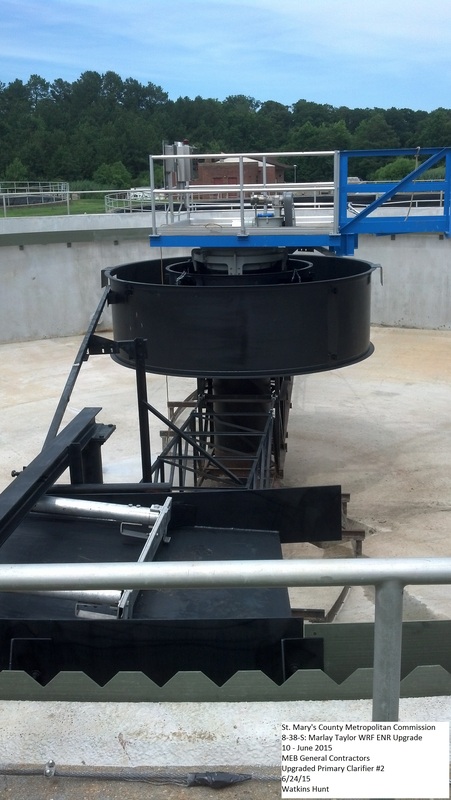 The plant’s new nutrient removal and water reclamation systems will help Maryland substantially reduce pollution levels previously discharged into the Chesapeake Bay. New headworks channels and F.O.G. (fats oils and grease) tanks were treated with PENETRON ADMIX to waterproof and protect the structures from caustic chemicals in the wastewater. PENETRON crystalline technology was used for all new concrete, as well as on existing concrete structures at Marlay-Taylor. It is a key enabling technology of the high efficiency ENR systems implemented at the upgraded plant. As a regional wastewater treatment plant for the Lexington Park, Hollywood and Piney Point areas of St. Mary’s County in Maryland, about 65 miles south of Washington D.C., the Marlay-Taylor wastewater treatment plant is designed to treat six million gallons of sewage per day. “PENETRON crystalline technology was used for all new concrete, as well as on existing concrete structures at Marlay-Taylor. It is a key enabling technology of the high efficiency ENR systems implemented at the upgraded plant,” notes Christopher Chen, Director of The PENETRON Group. “The upgraded water treatment systems will provide a significant impact on meeting Maryland’s commitments to improved water quality in the Chesapeake Bay watershed." PENETRON ADMIX – in the soluble bag format to simplify mixing during the concrete batching phase – was added to all new concrete for the sludge treatment and FOG treatment systems. The existing tanks and primary and secondary clarifiers were treated with an application of PENETRON crystalline coating material and PENECRETE MORTAR. Funded partially by the Maryland Department of the Environment through the Bay Restoration Fund, these upgrades will substantially reduce previous nitrogen and phosphorus discharge levels into the Chesapeake Bay to the lowest concentrations possible with the new ENR technology. “Our local PENETRON team worked side by side with the project’s design engineer from the conception phase all the way to completion to ensure perfect results,” says Mr. Chen. For more information on PENETRON waterproofing solutions, please visit penetron(dot)com or Facebook(dot)com/ThePenetronGroup, email: CRDept(at)penetron(dot)com, or contact the Corporate Relations Department at 631-941-9700. The existing WTP tanks were rehabilitated with a spray coating of PENETRON crystalline waterproofing material and PENECRETE MORTAR.